Accidents can happen to anyone at any time. It is not always in our control and it is a phenomenon really hard to avoid. However, the first hour after the accident is necessary. It is called the Golden Hour and though people are dazed and confused, taking critical decisions will definitely change your life and help you survive it better. No matter where you suffer your accident, you still will be able to walk away with it with the least damage to yourself and your belongings. This article will help you to survive and remain calm in the most dreadful of accidents and help you infinitely. For instance, if you are stuck in a wreckage because of a car crash and you just regained consciousness, first check how much injured you are. If its a few cuts and scrapes and you can pull yourself out of the car, then do so. If you feel you have a broken leg or hand, then use your clothes to protect the area and get out. Usually in cases of accidents, especially because of a car crash, a huge crowd will gather around, but none will seem to help. Scream at a particular person you see in the crowd and tell them how injured you are. That will rouse them into action and help them to get you into the nearest hospital. People go into onlooker mode after an accident. You will need to take charge of you are still capable of talking. If not, raise your arms and legs wildly to signal that you are alive. After you have managed to get out of the debris because of a car crash, the next step is to find out your mode of communication, aka the mobile phones. Call, text or inform your family members or friends who can help you in the hospital. It is natural to be confused and dazed because of a car crash, butremembers, a little timely action will go a long way in helping you out of your problems. Get your Aadhar card, pan card, credit cards while you can so that post-accident you don’t have to spend long hours in duplicating them or reporting they are lost. However, you should remember to do this only when you and the rest of the injured co-passengers are safe and awaiting a trip to the hospital. Check by precedence and send the most injured people to the hospital first. Then the rest should go. And keep all important relatives and friends informed who can actually save you in this time of crisis. 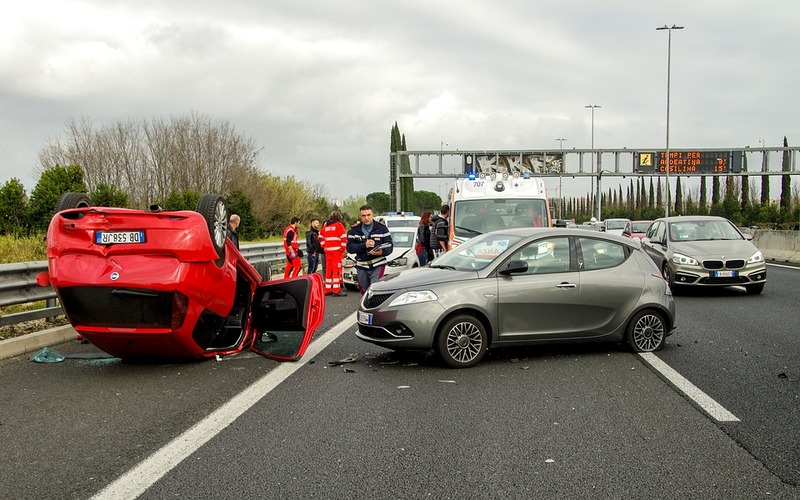 Surviving an accident because of a car crash can be harrowing and traumatic. However the life post the accident has to be managed out somehow. By following these simple steps, you can ensure to save the lives of your co-passengers and yourself and make sure you escape with minimal problems.